Some links in this post are affiliate links. As always, I only share products with you that I truly like. Thanks for supporting Just Bee! 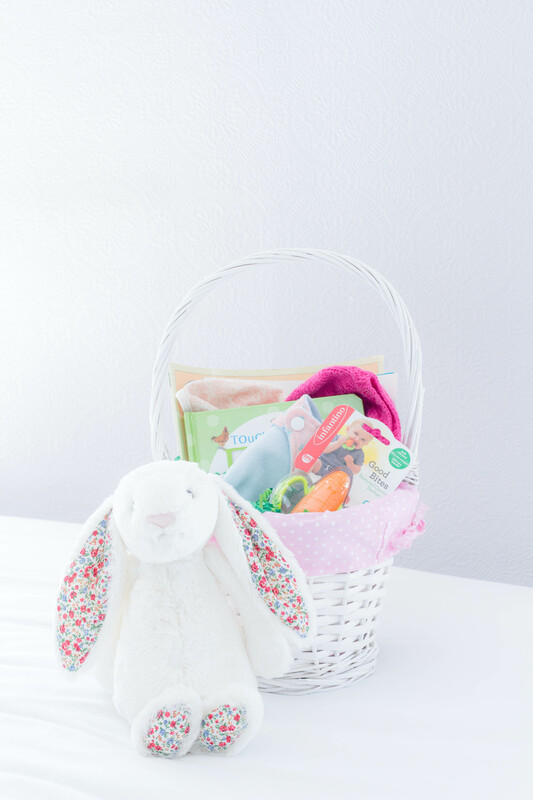 For Sophie’s Easter basket this year, I did purchase most of the items, but I also included a couple things that we already had on hand – it’s just an excuse to repackage them as a special gift! 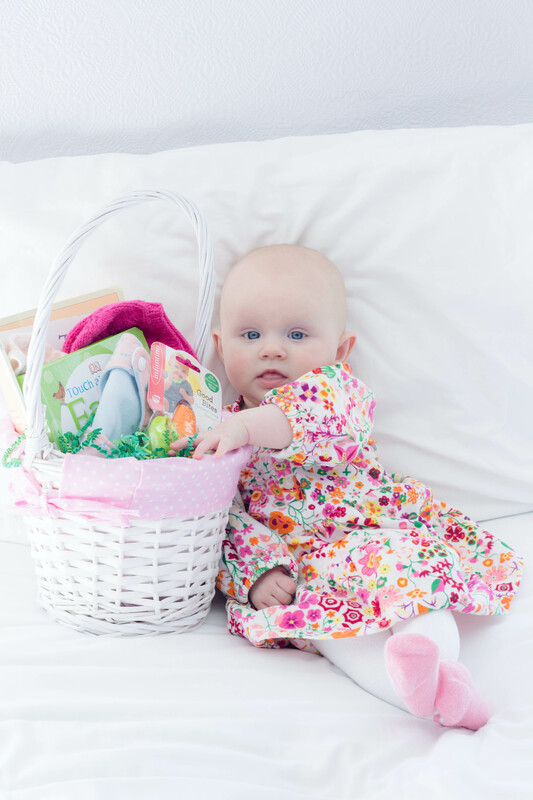 Here’s what Sophie’s Easter basket looks like this year! First things first, I grabbed this cute basket from Walmart. 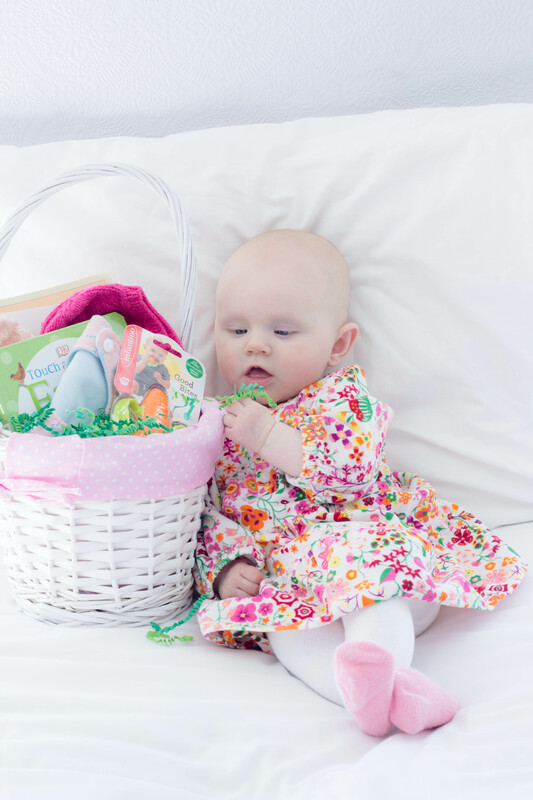 I plan to make this Sophie’s Easter basket each year, so we’ll get good use out of it! It only cost about $5. I picked up a couple bags of faux grass as well. This element isn’t all that necessary, but it adds a cute touch! 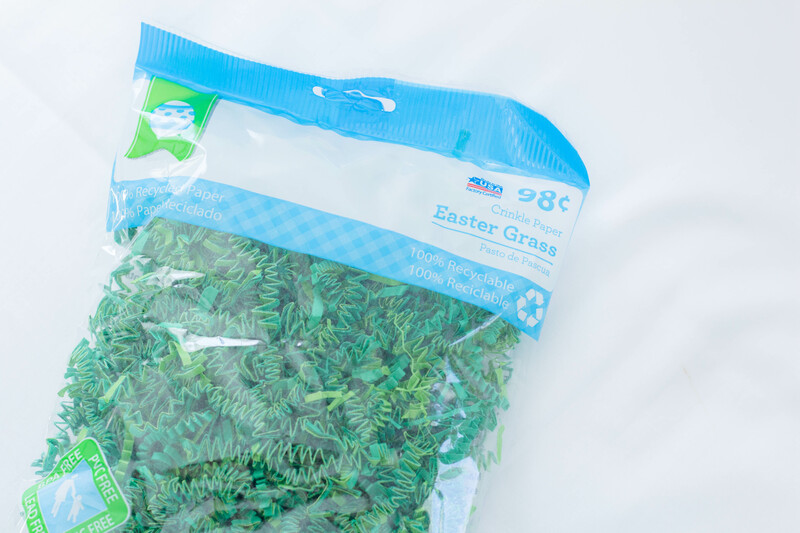 The bags of paper grass were less than a dollar each. 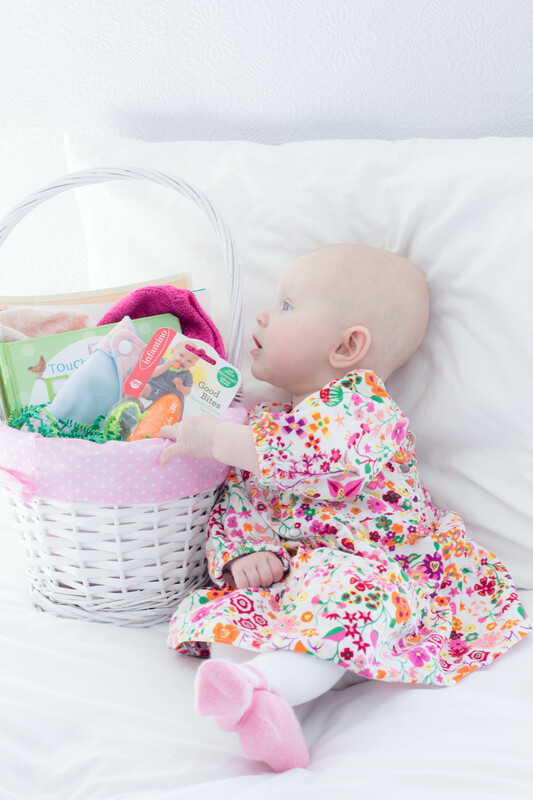 We’re huge book lovers over here, so of course Sophie’s Easter basket had to involve a few books! I started looking for Easter- and spring-related books for Sophie a few weeks ago. 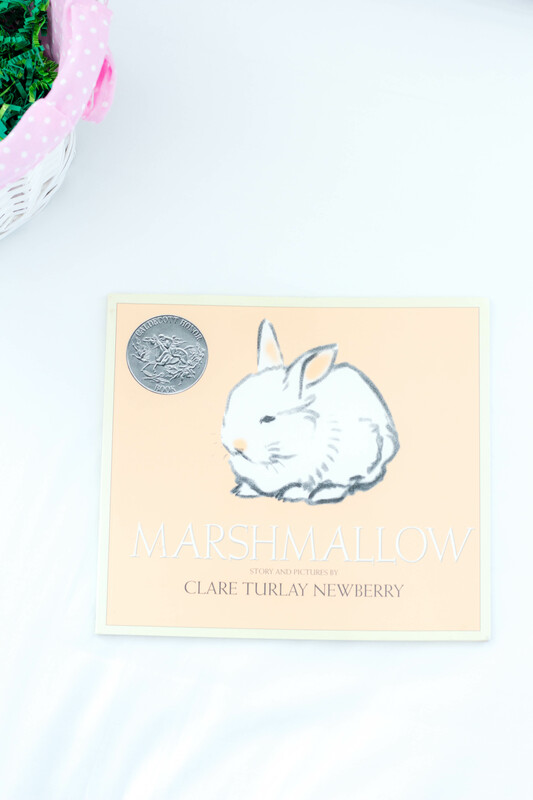 This book called Marshmallow is a sweet story about a bunny. I didn’t grow up with this book but it won a Caldecott Medal so I went ahead and got it on Amazon! I also got Sophie a book called Touch and Feel: Farm because, of course, we have to celebrate springtime in this rural community! I just think it’s so fun that she’ll grow up knowing about farm animals in person – my in-laws live on a farm, so farm animals will be special childhood memories for Sophie! She’s really into textures lately, so this book will be given to her at the perfect time. RELATED: Our Small Town / Rural Life Q+A Video! 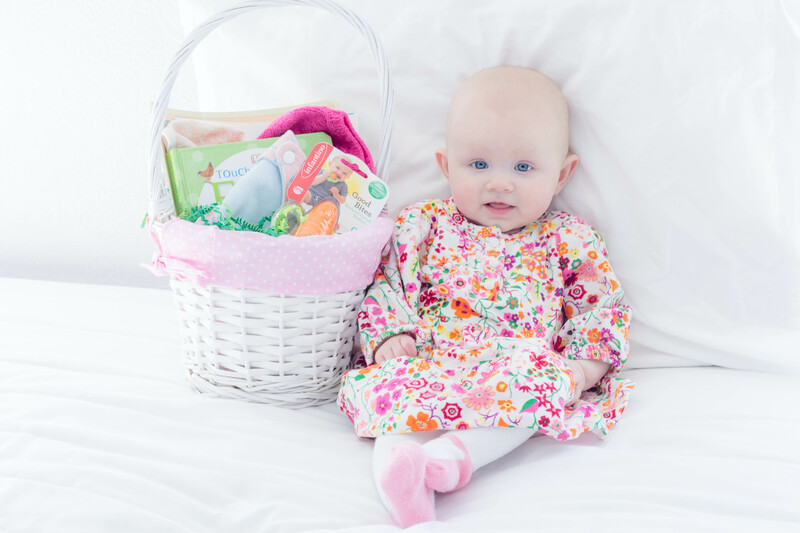 This Infantino Carrot Teether was a super cute addition to our spring theme! So, in it went! 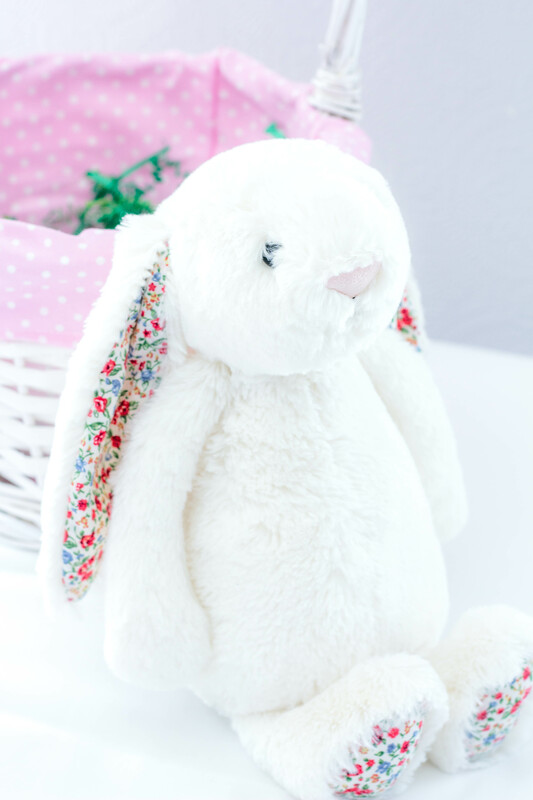 I added Sophie’s cute Jellycat brand Bunny , too — it was a sweet gift from my friend Jordan back when Sophie was brand-new! I just wanted a cute stuffed animal in Sophie’s basket but I didn’t go out and purchase one. And the plus side is, I know Sophie already loves this bunny so much! 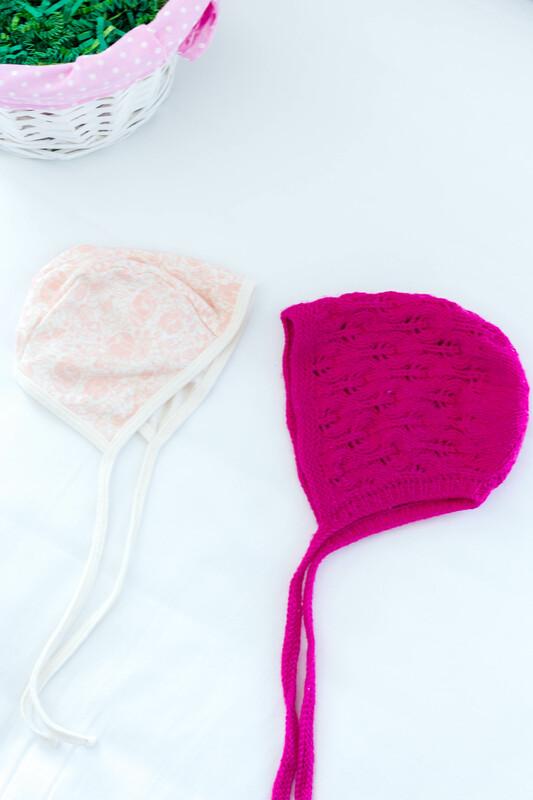 And, since it’s springtime, I bought a couple bonnets on Kidizen for my little girl! 🙂 She has such a cute-shaped head and I just can’t wait to see her in a bonnet! I think Sophie was just as interested in the basket itself as she was excited about the goodies inside! ** Sophie’s dress and tights are both from Kidizen, too!! 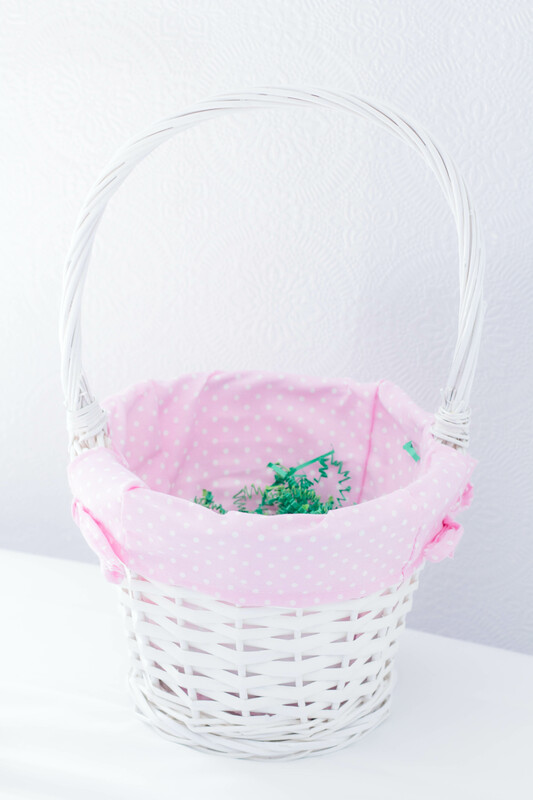 Do you do Easter baskets with your children? What items do you like to include? I can’t wait to hear what you do! This is so cute! I love it! And I love that dress! I’m all about Easter baskets but also all about keeping the focus on Jesus! As she grows, there will be so many fun ways to continue doing that! Thank you, Elizabeth!! 🙂 Her dress is an Old Navy brand but I got it on my favorite kids’ clothing app, Kidizen! 🙂 Yes, it’ll be a lot of fun to focus on even more Christ-centered activities as Sophie gets older! I’m SO glad you mentioned the Resurrection rolls! I always forget about them, but thanks to you I just wrote it down on my shopping list. Thanks for the reminder. These pictures are beautiful BTW! Aww! I’m glad I reminded you about the Resurrection rolls, Erica! 🙂 I had a college roommate who made them around this time of year, and I always wanted to do it with my kids someday! 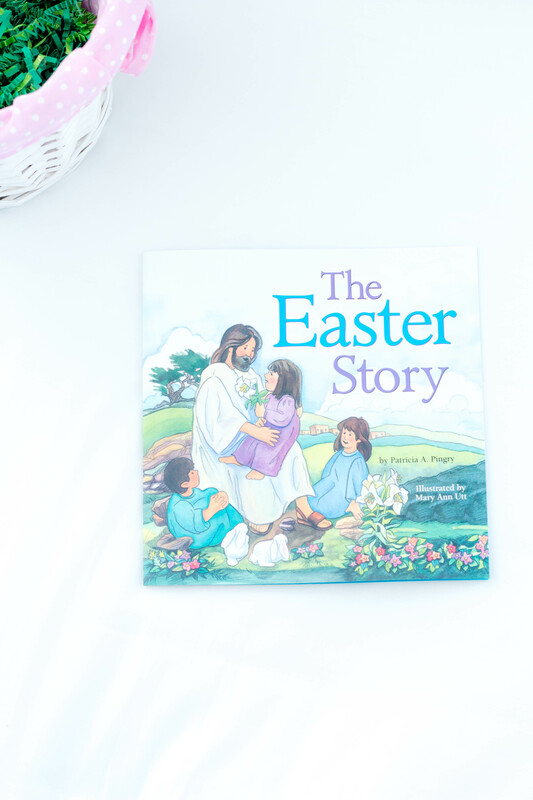 Also, if you look on Pinterest, there are some really good explanations of Resurrection rolls that get really detailed in explaining to kids the Resurrection story! Thank you for reading along!